Oku, one of the many health technology devices showcased at CES this week, evaluates your skin and makes recommendations to keep it (and you) healthy. The small, handheld device scans your face and gives you a score based on its health. It also analyzes any imperfections or abnormalties to give you feedback on its moisture, texture, wrinkles and pigmentation. Once Oku has done its full evaluation, it gives you a Skin Health score and a goal to strive for. 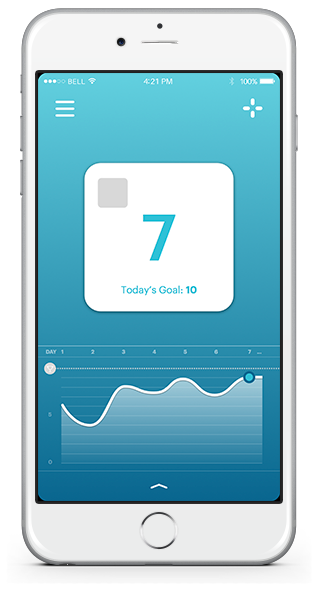 The iPhone app also gives you lifestyle, dietary, and product recommendations to help you reach your goal. According to Rahul Mehenale’s interview with TechCrunch, the skin care device will likely ship this spring, and you can pre-order it for $299. Omgosh i need this!!! How was ces?! Hi Christina! I unfortunately was not at CES, but I did go through a ton of articles finding the best Health/Tech innovations at the show, so be sure to stay posted to see more of cutting-edge innovations.